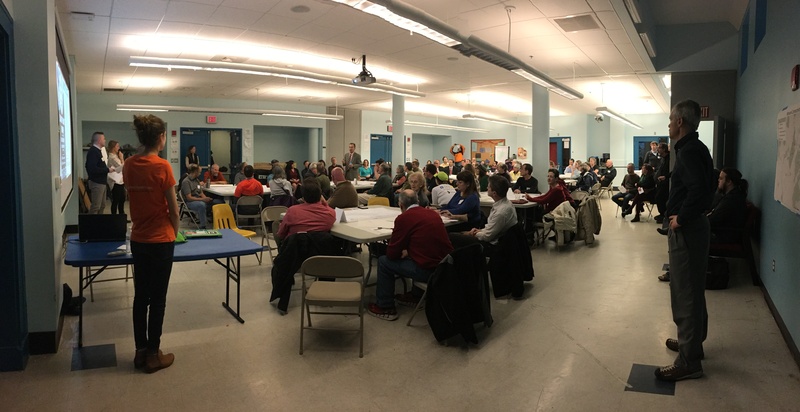 Tonight’s Roslindale Gateway Path Visioning session was a smashing success. The turnout was extraordinary, filling the large double-room meeting space in the Roslindale Community Center just about to capacity. In addition to many people who live, work, and play in Roslindale and adjacent neighborhoods (including notably JP and West Roxbury), several city councilors, state legislators, and state agencies (including the MBTA and MassDOT) sent representatives who actively participated in the event. 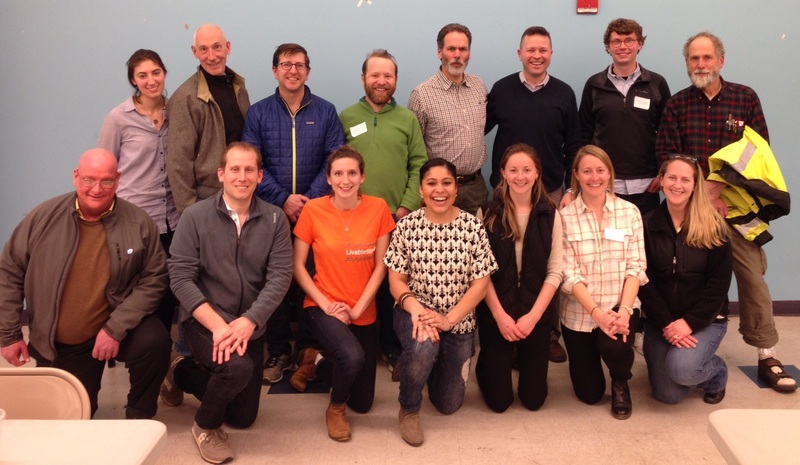 The meeting reflected tremendous energy and enthusiasm for the project, and sparked many new ideas and concepts that we and our collaborators at Tufts and the Livable Streets Alliance will be synthesizing over the coming weeks. In case you weren’t able to make it, here is the presentation that kicked off the event, but most of the 90 minute meeting was spent gathering community input in small groups. Stay tuned for more news at our path page and send any additional comments to path@nullwalkuproslindale.org. Finally, the event was well covered on social media. Sampling of recent tweets below. The latest Roslindale Bulletin features an article by Jeff Sullivan on the Arboretum Gateway Path initiative, including interviews with several WalkUP Roslindale members and allies from RozzieBikes and LivableStreets Alliance. 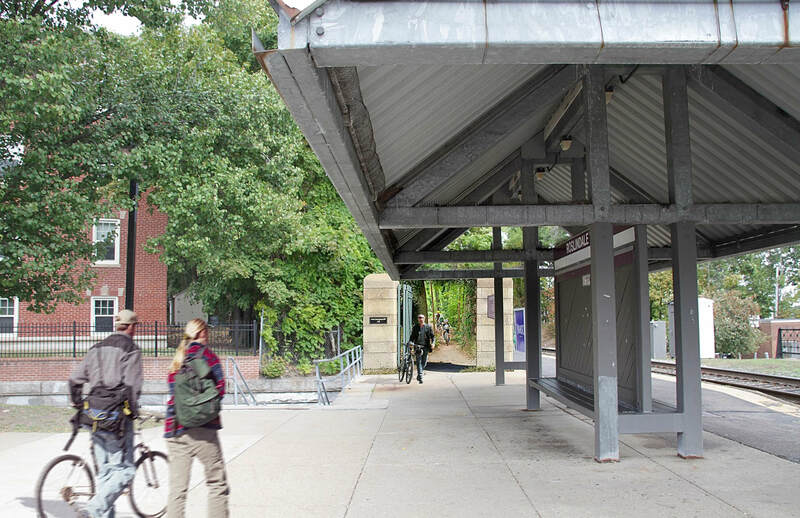 Check out the article, and be sure to RSVP for our upcoming vision session on March 30 at 6:30pm at the Roslindale Community Center and respond to our survey about the path project. I have fielded more than one note that I left the Arboretum Gateway Path off the top-of-mind list for WUR’s 2015 roundup. This is an accurate critique and so: mea culpa. The AGP was a major initiative in 2015 and, I strongly suspect, will be a major initiative this year and going forward until it’s done. In brief: We love this idea of a new Arboretum gateway and path at the Roslindale commuter rail station that would provide an alternate ped/bike path to the South/Archdale bridge area, where it would link to an extension of the existing Blackwell/Bussey Brook path (and on to Forest Hills and the Southwest Corridor path) and allow for a new, more welcoming entrance to the Arboretum at Archdale as well. We are furthermore delighted at the receptive potential partners we’ve found in our own City and State government, the Arnold Arboretum, the Arboretum Park Conservancy, RVMS, Livable Streets, and our friends at Tufts University’s environmental program who are currently conducting an initial feasibility analysis for the path. It’s also been a great way to connect early with our friends at Rozzie Bikes. So — as we head into 2016, expect the Arboretum Gateway Path to be something we continue to talk about and organize around, a lot.